February 2015:I had the pleasure of working at the Pullman Arcadia in Phuket,my Bride that day "Melody"had popped over from Malaysia,about an hours flight to Phuket.It made my day as a lot of Melody's Bridemaids & Friends were MUA too,they were all very complimentary about my work.I hope you enjoy your Honeymoon in Phuket & have a safe trip back to Malaysia. 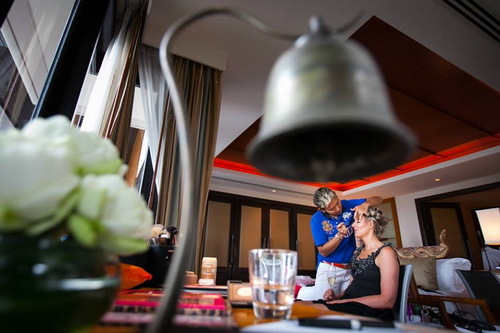 February 2015:I really like this photograph of "Oh" working on an Australian Bride during a Wedding at the Trisara in Phuket.The picture was taken by a very good friend of ours,if you are still looking for a Photographer for an upcoming Wedding in Phuket or the surrounding areas of Khao Lak,Krabi,Phi Phi Island,I can strongly recommend Aht & his team www.phuketphotographer.com Bridal Makeup & Hair by Wow Make Up in Phuket. 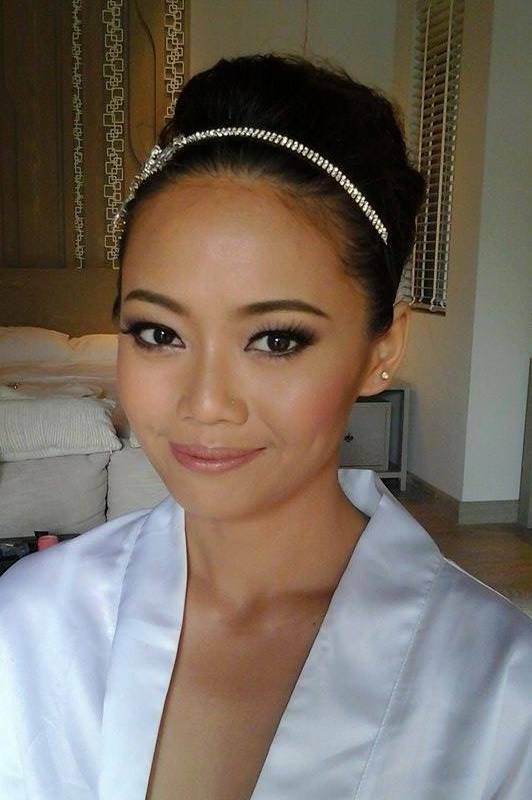 February 2015:Bridal Hair & Makeup by Wow Make Up in Phuket at Renaissance Phuket. February 2015. 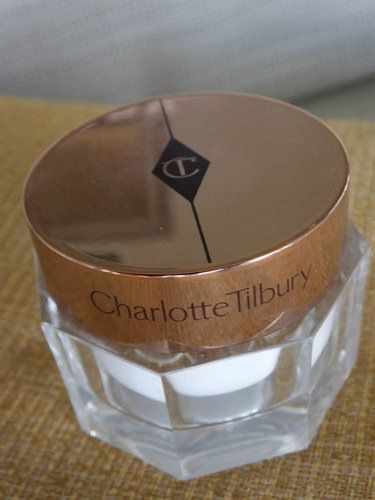 I just love to use this AMAZING product "magic cream" by Charlotte Tilbury.I picked this up during a shopping spree in London,England.